Futureworks Incubator returns in 2019 with a new class of hardware companies from across New York City. 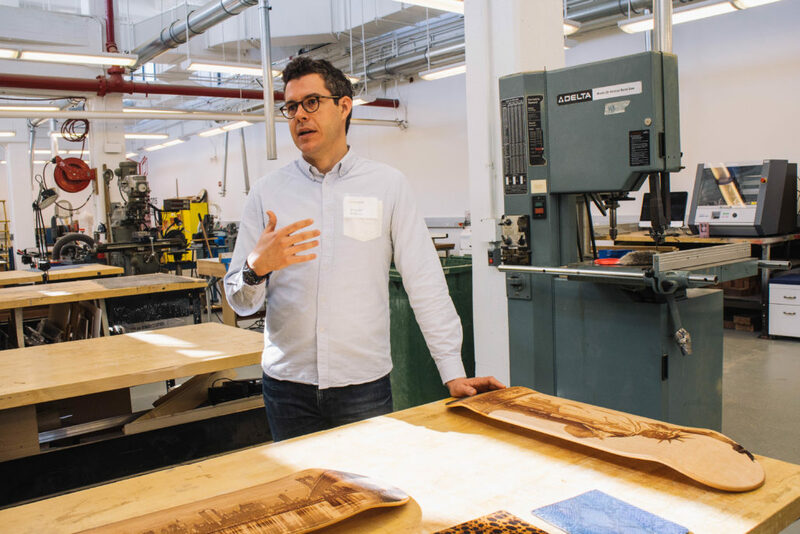 After reading through 100 applicants and conducting 30 interviews, NYCEDC and SecondMuse selected 15 startups to join the Futureworks Incubator Fellows track, a more intensive programming cohort within the broader Futureworks Incubator. Through the selection process, we handpicked companies that represent NYC’s diversity of hardware ideas, sectors and stages. New York City is, as you already know, massive. And the Futureworks Fellows are inspired by our city’s eclectic tastes and needs. From Grouphug’s solar panels to Wesa’s Nightride to Sunhouse’s Sensory Percussion, we’re seeing a new crop of brilliant startups emerge in the Big Apple. 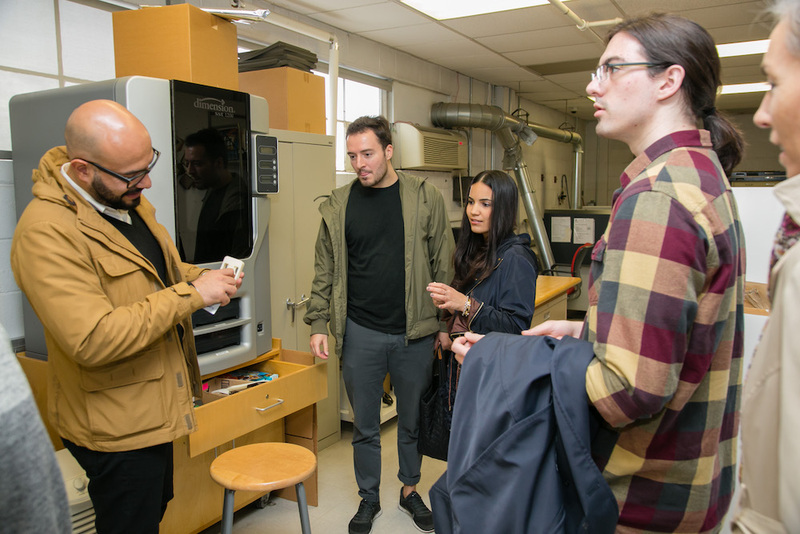 The Futureworks Incubator Fellows are split into a trio of intimate cohorts: Crowdfunding to Retail, supported by Kickstarter and UncommonGoods, as well as Sales and Marketing, and Manufacturing. Explore the 15 startups below, and stay tuned for information about the other companies participating in the broader program! Clip Bike makes portable e-motors to instantly transform your bike, or a shared bike, into an electric bicycle. Founded by an award-winning mobility designer and technologist from MIT, and a global project leader in sustainable energy and social impact, Clip Bike is on a mission to make biking the easiest choice for all commuters. Keep their CLIP in your backpack and give yourself that extra boost when you’re going uphill, over bridges, or to keep an eternal coast. They’re based in Brooklyn. Learn more about Clip Bike on their Website, Instagram, Twitter and LinkedIn. Based in the Lower East Side, Grouphug makes a solar panel that is designed to look like stained glass and hangs in your window. The frame features a built-in USB port and power bank so that you can charge your phone off-the-grid at any time. Founder Krystal Persaud, the former senior director of product design and strategy at littleBits, believes sustainability should be fun and easy. That is why their solar panels have the added delight of projecting rainbows! Yes, they said rainbows. They believe that if people are happy and having fun, they’re more likely to adopt eco-friendly habits into their everyday lives. These are not your average solar panels; they are solar panels that make you smile. Get your smiles on their Website, Instagram and Twitter. Magis aims to produce excellent consumer products faster, better, and more efficiently. Coffee Cookie, a little gadget that keeps to-go coffee hot, is the first product developed by Magis and is already #1 on the Forbes 2018 Holiday Gift Guide. Founders Victoria Gregory and Gabe Alba took Coffee Cookie from conception to market in just three months and with only $10,000. Part of their secret? The two MIT mechanical engineering grads own and run a high-speed, low-volume injection molding factory in a former Mexican convent. True story. They’re based in the Financial District. Explore more about Magis in Forbes, on Instagram or LinkedIn. Unwrinkly is a smart automatic clothing steamer that instantly sanitizes, deodorizes, de-wrinkles, and freshens your clothes. Just pop in your dirty laundry for 10 minutes, and the pressurized steam-delivery system combines with Unwrinkly’s proprietary pod formulation to make your clothes ready to wear again. Schedule and customize cycles according to types of fabric and track how much time/money/energy you are saving through their mobile app. Unwrinkly is perfect for homes and apartments of all sizes. It’s light enough to carry around and can be collapsed to slide under your bed. Unwrinkly will be the most affordable automatic clothing steamer on the market. Get with Unwrinkly on Website and Facebook. We Are the New Farmers grow fresh Spirulina indoors in the Sunset Park Brooklyn Army Terminal using proprietary technology developed by their team. Why? Fresh Spirulina is an incredibly nutrient-dense and energy-efficient food. Spirulina has been named by the United Nations to be the greatest food of the future since 1974. It contains two to three times more protein than chicken or beef, without any of the greenhouse-gas externalities. Fresh Spirulina also has nearly every vitamin under the sun and a vast array of antioxidants and minerals. Moreover, Spirulina requires significantly less water, energy, and space to grow compared to other crops. Explore more on their Website, on the New York University Entrepreneurs blog and on Instagram. Cyklr’s first product is Cyklr Composter, a high-speed composting system that converts food waste to valuable organic fertilizers in just one day. They’ve combined this with a unique online platform to integrate both waste producers and organic fertilizer users. The key technical features of their technology include a drastic reduction in food waste volume through a proprietary design process, and their Micro-organisms Accelerated Co-Composting (MACC) technology, where several bacteria strains with thermophilic properties (bacillus, bifidobacterium, streptococcus) are used to accelerate the composting process. Cyklr is based in Long Island City. See more at Women’s Weekly, on their Website and on Instagram. RoadPower is a kinetic energy collection system that enables commercial & industrial facilities to generate their own grid- grade electricity using the energy recovered from vehicles in motion on their property. RoadPower is easily installed into the pavement of a roadway or lot and safely generates electricity with each passing vehicle. Mindbending, and based in New Jersey. More on their Website and on Innovateli. Sunhouse provides an AI-powered music creation platform for instrumentalists. In laymans, that’s a next-gen drum sensor used by successful musicians across the world. Today, instrumentalists like drummers are almost completely left out of the music creation world because current music-making software is only made for sound engineers, DJs, or computer-savvy electronic musicians. For instrumentalists to make electronic music they’d have to put down their instrument and learn complex software. They built Sensory Percussion to open up the world of electronic music creation to the millions of musicians who are not served by today’s tech. Sunhouse’s solution consists of patented AI-powered multi-zone acoustic mapping engine and a sensor to be placed on the drum. They’re based in Long Island City. Website, Instagram and Twitter. Therm is an inexpensive, IoT-enabled device to control one-pipe steam systems – the most prevalent heating system in New York’s pre-1970 housing stock. Therm uses the operational principles of thermostatic radiator valves (TRV), controlling the amount of latent air in the radiator to moderate the heat. Unlike a TRV, Therm does not require any modifications to the radiator, and replicates the principles using a small clip-on air-tight enclosure (around the radiator air vent) and a digitally controlled actuator. Therm gives local control to tenants, saves energy costs for landlords, and reduces GHG emissions. They’re based in Hell’s Kitchen. Website and Instagram. Wesa’s NightRide is a powerful, thermal vision-based solution to help drivers see what headlights don’t. NightRide is designed for the automotive aftermarket and is affordable and easy to install. Think: Spotting deer and other night-time animals from much further than a headlight can see. Wesa is based in Ditmas Park. Explore more on Website, Instagram and Twitter. CeeBaK is an outdoor recreational safety accessory for bikers and urban athletes. The adjustable 360-degree mirror rotates for traffics, effectively expanding visual angles. Consider this an innovative, on-demand visual aide is designed to provide enhanced peripheral rear-view vision and to protect the hand in case of taking a fall. It’s worn on your hand, securely attaches to gloves and has a quick-release hook and loop. CeeBak’s patented innovation and design require no charging, subscription, updates or downloads. CeeBak is based in Park Slope. See CeeBack on their Website and Facebook. Manifold Robotics develops small-scale autonomous robotic boats that collect environmental data. The robots host water-quality sensors, sonars for bathymetry, or other sensory payloads, and greatly reduces the cost, and manpower, traditionally needed for data collection. Users can remote-control or program the boats to autonomously steer across the water. Manifold Robotics’ innovation is especially useful for navigating shallow and narrow passageways. Manifold is based in the Brooklyn Navy Yard. Explore their Website. Mito Lab’s Bloomstick is intelligent lighting for indoor farming that’s optimized for efficiency, logistics, and easy integration. Custom electronics and software enable best-in-class efficiency with wireless dimming and spectral control. Novel optical assemblies eliminate “spilled” light for farmers’ eye health and increased photosynthetic capture. As part of the system, they are integrating a wireless mesh network to control the lighting and collect environmental data. Designed with a “cradle to cradle” approach, Bloomstick is made from >90% recyclable aluminum and glass and can easily be refurbished at end-of-life. Based in Greenpoint. Learn more here: Website. Pucky is an IoT doorman and mobile app that empowers tenants to let the right people into their building from anywhere on earth. Just affix the puck-like device to your front door and you’re freed up to never wait by said door again – or miss packages, give your keys to dog walkers, cleaners, and other incredibly helpful people in your life. Coming soon! And, based in the East Village. For busy urbanites who think they have a brown thumb, Urban Leaf created a range of easy-to- use gardening kits that allow people to grow their own food and reconnect with nature. All from the comfort of their home. Urban Leaf is based in Soho “West.” Explore more in lots of ways: Bustle, Digital Trends, Design Boom, Food & Wine, their Website and Instagram.